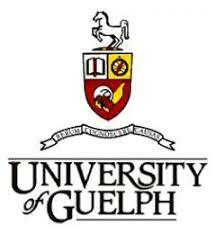 The University of Guelph (affectionately known as moo-college ) is a comprehensive public research university in Guelph, Ontario, Canada. It has more than 32,000 students (including those at the Humber campus, off-campus degree enrollments, diploma enrollments and part-time students) and over 1500 faculty (academic staff) . It offers 94 undergraduate degrees, 48 graduate programs, and 6 associate degrees in many different disciplines.